John Hutchins, The history and antiquities of the County of Dorset, 3rd ed., edited by W. Shipp and J.W. Hodson, Westminster: J.B. Nichols, 1861-1873, Vol. 1, 1861, pp. 344-345. Arthur Mee, ed., Dorset: Thomas Hardy's country. The King's England. London: Hodder and Stoughton, 1939, pp. 59-60. 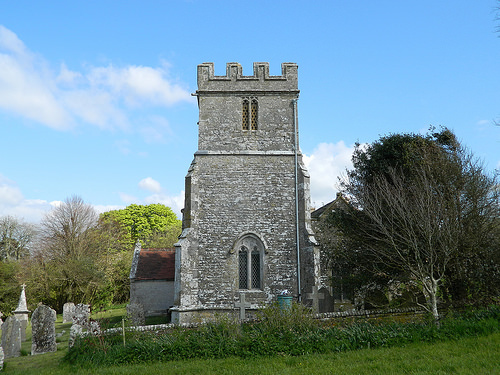 John Newman and Nikolaus Pevsner, The buildings of England: Dorset. Harmondsworth: Penguin, 1972, p. 136. F.P. Pitfield, Dorset parish churches, A-D. Milborne Port: Dorset Publishing Company, 1981, pp. 162-163. Royal Commission on Historical Monuments (England), An inventory of historical monuments in the County of Dorset, Vol. 2, South-East Dorset. London: HMSO, 1970, pt. 1, pp. 34-35. Maintained by Michael Day, Last updated: 22 April 2014.